The most consequential of those could be India's apparent full joining of China Containment Coalition ( CCC) led by the US, New Delhi could act as a ''swing state'' and tip the balance of power in favor of the Unipolar world order led by America, it is clear that PM Modi and his BJP party elites are very eager to take the role of strategic balancer against China, the Indians are in full gear to do whatever they can to disrupt Chinese strategic interests and initiatives, the most obvious is their destabilization efforts of China-Pakistan economic corridor (CPEC), even they have joined US led anti-China efforts in the South China Sea. New Delhi has signed military logistics sharing deal with the US. If there has been any doubt of India's strategic intentions before, this deal clearly gives the answer. The apparent architects of India's ''defection'' to the US Unipolar order are Ashley Tellis, Indian-American strategist with Carnegie Endowment and Robert Blackwell, former US ambassador to India. These two China hawks have written a monograph last year which details how the US should contain China and how India fits in that strategy, unsurprisingly in a celebration mode, they recently also penned two different articles: Tellis praising Modi's ''success" in his foreign policy and Blackwell, again advocating for more strict China containment strategy. (Blackwell also wrote a new book on what he calls China's geo-economic strategy). On the other hand, the recent US full deployment of missile defense systems in Romania and a planned one in Poland and its constant refusal to positively engage Russia on Syria, proves its long term hostile intentions toward Moscow. Arguably it finally seems the dots are connecting together and Washington is in full gear to encircle China and Russia with Anti-China CCC and re-energized NATO respectively. With that geopolitical landscape in mind, Indonesia will be key country in the coming years and decades and could affect global balance of power either way. Indonesia's geostrategic location, its growing economy and its over 250 million population should be enough to convince its leadership to aspire for regional leadership and potential great power status. The country sits at the strategic maritime crossroads of the Indian and the Pacific oceans and it will be one of the top five world economies by 2050.Jakarta remarkably adopted a moderate form of Islam, it also has its cherished motto of relatively independent foreign policy (independent and active). Finally, Indonesia is the de facto leader of ASEAN. All of these qualify Indonesia to be potential a multipolar node, it could represent moderate Islamic civilization in the emerging multipolar world order together with Chinese civilization, Russian civilization, Western civilization, Indian civilization and Latin America and Africa civilizations; a multi-civilizational world order should emerge where current dominant Western civilization is just one of many, if that will be the case. Indonesia should be the leader of moderate, non-violent Islamic civilization with Iran and possibly Pakistan and Egypt as regional nodes of this large civilization.Turkey could have taken that role but Erdogan has blundered such a chance. Indonseian president, Joko Wododi also known as Jokowi, was a political outsider before his election in 2014. He was supported by former president Megawati Sukarnoputri's party (PDI-P), and he is not one of the traditional conservative political elites, but he is popular among a large portion of Indonesians. During the election campaign, former military general candidate Prabowo's supporters accused him of not being Muslim and of being of Chinese descent, which are both false: he is Javanese Muslim, he got the support of ordinary Indonesians including minorities like Chinese Indonesians and Christians. In fact he is a unifier and he opposes any Islamist leaning policies, The West seemed to support him during his campaign mainly because he promised to open up the economy for foreign investments but they were disappointed when the relative opening of the economy brought more Chinese investments, especially when Jokowi's government granted China, not Japan, the highly contested Jakarta-Bandung high speed railway contract, and when he made a brave decision to execute several drug dealers including two Australians, a decision which Unipolar media both in the West and in Asia harshly criticized and also raised tensions with Australia. Jokowi's priority seems to be economic and infrastructure development and military modernization through his strategy of "Global Martime Fulcrum", that is exactly what a true national leader should do. During his time in office he improved relations with China and Russia to achieve his vision. China can help in infrastructure development and investment while Russia can help in military modernization and energy projects. The Unipolar media in Asia mainly based in Singabore, Hong Kong, Japan, and Australia realized Jokowi is not exactly following the Unipolar playbook and started veiled attacks on his China policy. especially his decision to grant the high speed railway project to China. Of course Jokowi government is very careful to upset the US led Unipolar order and always tries to balance its relations between China and Russia on the one hand and the US and its Unipolar allies on other. On balance some key steps taken by Jokowi may justify some optimism for the Multipolar order, these include: 1. the decision to grant the high speed railway contract to China despite tough competition from Japan. 2., the brave decision to defy Western pressure and execute drug dealers specially the Australians. 3., the decision to opt out the so called Saudi-led Islamic military coalition and to refuse condemning Iran for alleged terrorism support in the recent Istanbul OIC summit. 4., the recent defense deal with Russia in Sochi which could include Su-35 fighter jets and Kilo-class submarines. 5., the reluctance to join TPP as of now. Those decisions give us a good glimmer of hope that Indonesia could, at least, stay neutral, but make no mistake, this could change quickly because we do not know when pressured enough by the US and its Unipolar media, how Jokowi will react. The Australian led-US supported invasion of East Timor and attempts of Hybrid wars in Eastern Indonesia with the US fake global war on terror and its invasion of Iraq and Afghanistan proved for the Indonesian elites and its population more importantly, that they face direct threat from imperialist America and its Australian pawn. The occupation of East Timor by Australia and the subsequent secession of that region was a national humiliation for Indonesia, even Canberra threatened to bomb Jakarta and other major cities if Indonesia did not withdraw from East Timor. It is safe to assume that strategic and security Javanese elites in Jakarta see Australia, with Western support, to be their main strategic threat especially to their eastern regions, that has been the case since the independence and Konfrontasi war. During last two decades Indonesian strategic culture developed new threat perceptions including the threat of terrorism, ethno-religious violence that can threaten the national fabric, Western induced Hybrid wars, maritime security threats, and seemingly Western fueled '' China threat". All of these taken together suggest Indonesia's current strategic culture is somehow fluid, however in my opinion Indonesian security and strategic elites regard Australia with Western support as their immediate strategic threat and regional rival because they know well that Australia in collusion with the West has ''strategic war plans" to destabilize Indonesia and then intervene for the purpose of dividing it when an opportunity comes in its way. Other threats like terrorism, hybrid wars, maritime security, ethno-religious violence and Western hyped "China threat" come next. If that is the case, then there is an opening for Multipolar leading countries to engage Indonesia, but US pressure and provocations will always be challenge for Indonesia to follow its true strategic interests and forge closer security and military relations with China and Russia like in the Sukarno era. Nevertheless, there is a good chance that Jakarta could defy US's unrealistic demands and go its own way. The challenge for Multipolar leading states, Russia and China, is to assuage the Western hyped ''China threat" perception within the Indonesian elites and even population. This perception has been increasing for a decade now and the Unipolar media got their chance to hype it when in March this year, the Indonesian navy tried to arrest Chinese fishing boats near Indonesia's Natuna Islands. The Chinese coast guard intervened and stopped the arrest of the Chinese boats, that incident was " god-send'' for Unipolar media , they hyped it as much as they can, the Indonesian government thankfully tried to do damage control, but it was difficult for them to downplay the incident for domestic and public opinion considerations. The Chinese did not seem to handle the case well, they said their fishermen were fishing in ''Chinese traditional waters'' the Unipolar media used this line to discredit Indonesian government and accused it of complacency. It also seems Unipolar elements in the Indonesian army and security agencies capitalized the issue and ramped up their efforts to increase tensions with China. Indonesian military deployed more fighter jets in Natuna island new airbase in an apparent response to South China sea military tensions and particularly to this incident. Indonesia and China do not have official territorial disputes, but it also seems that Natuna islands's EEZ and Chinese nine dashline overlap. If that is true , then I think that is the single most problematic issue that leading Multipolar states face, this issue should be solved for the sake of Multipolarity. China should recognize that larger geopolitical goal of Multipolarity trumps claimed fishing rights in the high seas ( no strategically thinking state wants stray fishermen to poison its relations with a country the Unipolar and hostile US is competing for interest in). Fortunately though, there is no actual island dispute between Jakarta and Beijing, and high seas EEZ rights could be solved easily if there is genuine desire from both sides. It seems, unlike the Russians, that the contemporary Chinese polity (since the fall of Qing dynasty), has little great power experience. Their handling of issues and diplomatic conduct seem to be typical middle sized country, their diplomatic capacity and depth does not seem impressive, even their strategic thinking does not appear to be commensurate to their rising great power status. If that is the case, then China should improve its way of handling sensitive disputes and its diplomatic conduct specially with those countries who are not formal allies of the US or are ''contested/neutral" like Indonesia. That does not mean China should concede its rights in the larger South China Sea dispute but in this particular case with Indonesia there must be innovative ways to solve any misunderstanding or claims between Jakarta and Beijing. Russia could help them in this regard. The Russians can play a key role in easing any misunderstanding between China and Indonesia for the betterment of Multipolarity. There is no known Indonesian threat misperceptions of Russia and that will help Moscow to be an honest broker between Beijing and Jakarta. China itself should go to great lengths to assuage any misconceptions of the ''China threat" that Indonesian government, elites or population have which is mainly created and fueled by Unipolar media and the West. That will be good for Multipolarity and for China itself. China and Russia should help the Jokowi government to realize its priority goals of economic/infrastructure development and military modernization. There should be general coordination between China and Russia toward Indonesia, in doing so, they will maximize the chance that Indonesia will embrace Muliipolarity for its own strategic interests. Even if it stays neutral, that will be good for the Multipolar initiative. On the economic front, Indonesia badly needs foreign investments to upgrade its poor infrastructure and China appears to be willing to help in that regard. Beijing has started increasing its investments and infrastructure projects in Indonesia, that trend should continue. Chinese president Xi Jinping tipped Indonesia as the hub of his OBOR initiative. In fact, he initiated OBOR's maritime component in Indonesia itself in 2013. Moreover, Xi proposed that OBOR and Jokowi's Global Maritime Fulcrum strategy should complement each other. It appears Xi fully understands the strategic importance of improving Sino-Indonesain relations and he is committed to that end. The Indonesian army is suffering from lack of modern military hardware, last year an F16 fighter jet caught fire when preparing for security patrol of Asian African Summit in Indonesia, in an other incident, a C-130 military plane crashed and killed dozens in Medan in the earlier year. These incidents became embarrassments for the military and the defense minister ordered a complete review of the weapons acquisition mechanism. The US has not given the Indonesian army what it needs, they only gave old second hand F-16s. It seems there is opening for arms sales market for Russia. Indonesia appears to be ready to embrace closer military relationship with Moscow. A recent meeting between Putin and Jokowi in Sochi seems to yield reasonably good results with the signing of defense and security cooperation deals, President Putin understands well the strategic and economic importance of improving relations with Indonesia specially after India's Modi made a strategic ''defection" to the US. With Indonesia economically and militarily tied with Russia and China, then Moscow and Beijing should offer Indonesia to join BRICS as ""BRIICS", if that happens it could be good replacement for the "defection' of India to the Unipolar order. Jakarta has shown interest in joining BRICS in the past, this is a prestigious club which rivals G7 and I think Indonesia will like to be included in the top clubs of the global politics. BRICS secretary general said in the past that Indoensia should join the BRICS because the organization wants to represent all civilizations and Indonesia is the largest Muslim country. Moreover China and Russia should support future UNSC permanent membership for Indonesia if that body is ever reformed , Jakarta would represent Islamic civilization in a multi-civilizational world order. If Indonesia chooses to be an independent Multipolar great power it has every right to lead Islamic civilization because of its size, geostrategic location, and most importantly its moderate form of Islam and tolerance. Indonesia should reciprocate Chinese and Russian support for its economic development, military modernization and great power aspiration, with the following: First Indonesia should never join US led anti-China CCC or any US led anti-Russian activities. Second, Indonesia should secure Mallaca and other Indonesian straits as neutral water ways even during potential conflict or war in the region. 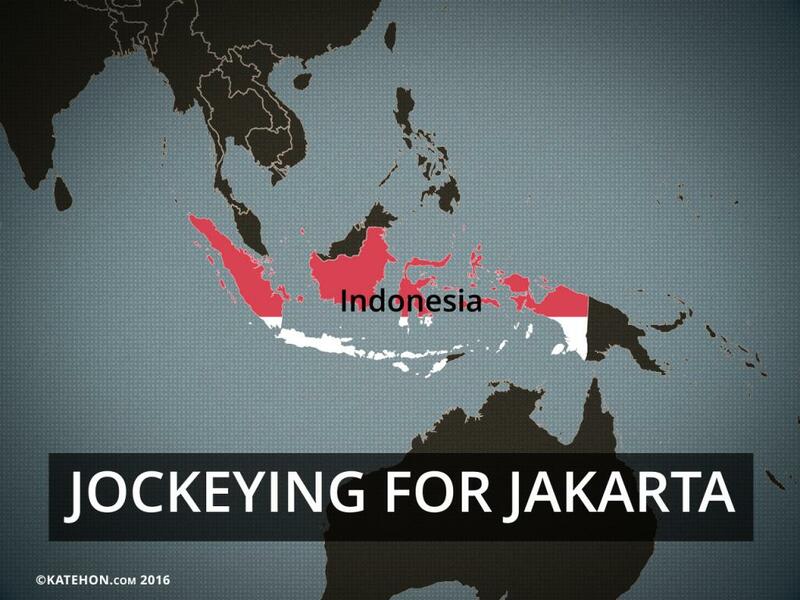 Third, Jakarta should not join TTP if China and Russia are excluded. Jokowi can deflect US demands to join TPP because it seems majority of Indonesian parliament oppose such agreement. Fourth, Indonesia could also embrace Multipolarity since that is its strategic interest. Fifth. Indonesia should continue to be the beacon of moderate Islam, religious tolerance, cultural diversity. In the 21st century, because there is no ideological dividing line, the emerging great geopolitical game between Multipolar forces and US hegemonic Unipolar order, will mostly depend on two pillars: 1. economic interdependence ( geo-economics) and, 2. diplomatic acumen - with that in mind Russia and China should engage proactive, creative and substantive diplomacy with Indonesia and all other countries like it, they should recognize its concerns and needs and then frame a coordinated and calibrated strategy they should capitalize on opportunities and mitigate challenges. If Russia and China are to challenge US global hegemony for good strategic reasons, their diplomatic capacity and creativity will be a key factor. At end of the day it is the Indonesians who will decide their country's path, but Russia and China can help them realize their country's potential to become an independent and active global pole in a Multipolar, Multi-civilizational world, not a satellite second-rate ally of the US. Instability In Indonesia: Is It Inevitable?